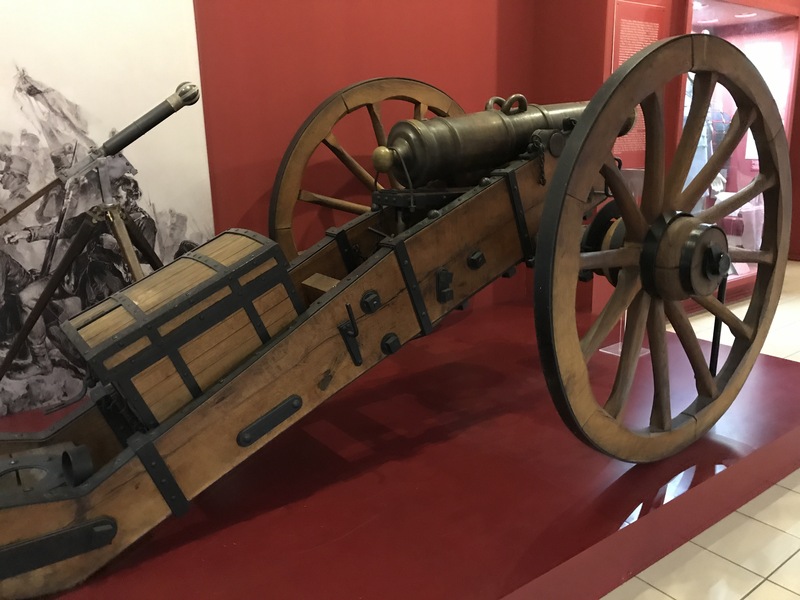 If you are in Vienna you really need to earmark some time for the Austrian Military History Museum, or more accurately the Heeresgeschichtliches Museum. While in Vienna it consumed my first day and was for me an excellent investment of my limited time in the city. It’s impossible to cover the exhibits in any detail. However, generally it is divided into four areas. Starting on one wing of the top floor there the exhibits start with the late renaissance with a particular focus on the Thirty Years War. Some excellent exhibits cover the equipment of both horse and foot. These exhibits are further supported by a series of paintings covering the major battles of the Thirty Years War. Continuing though the floor takes us to the sections on the later 17th Century before entering the wing on the Wars of the 18th Century. Here excellent displays of various standards of the Seven Years War are particularly interesting, including a number of captured Prussian standards. The weapon and equipment displays are supported by a range of artwork which provide much flavour. 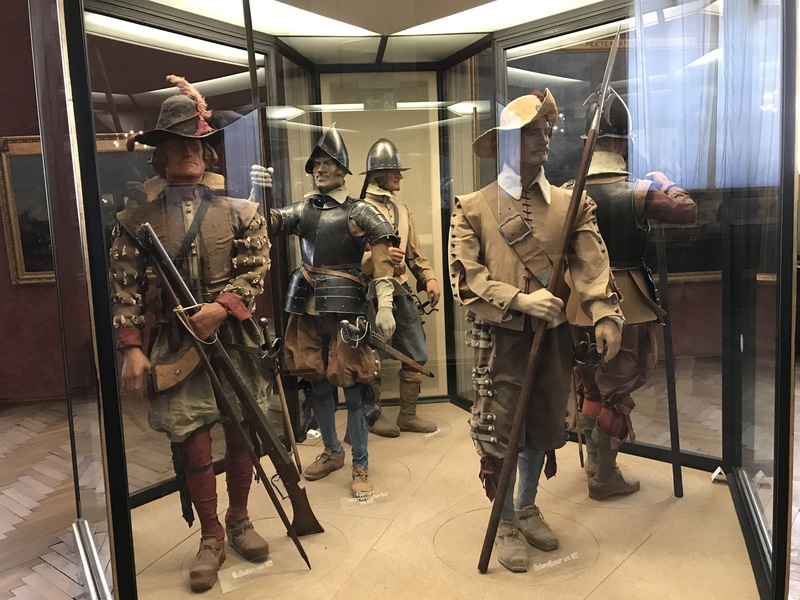 Unfortunately the excellent figure displays in the Thirty Years War were not repeated here. That not withstanding I wasn’t disappointed and period artworks added considerably to the various displays in this section. Returning to the entry area provides access to the opposite wing which covers the French Revolutionary Wars and Napoleonic Wars. Now, I must admit to expecting this area to be larger. However it provides excellent displays of Austrian uniforms in this period with good use of full displays. 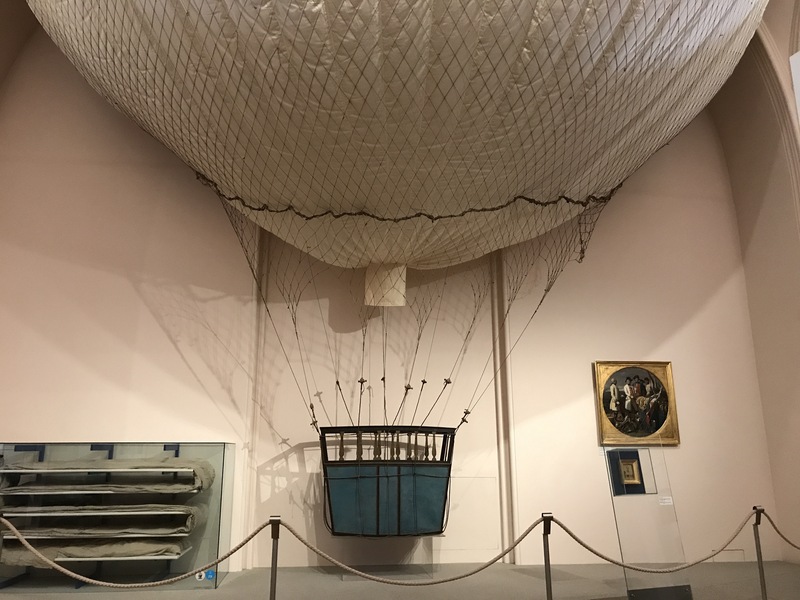 This area includes a very interesting French Observation Balloon. The wing continues through transition periods to cover the 1848 Revolution and the Wars of 1866. I have an ongoing interest in the 1866 period so I was rather interested in seeing this section, which was well presented. 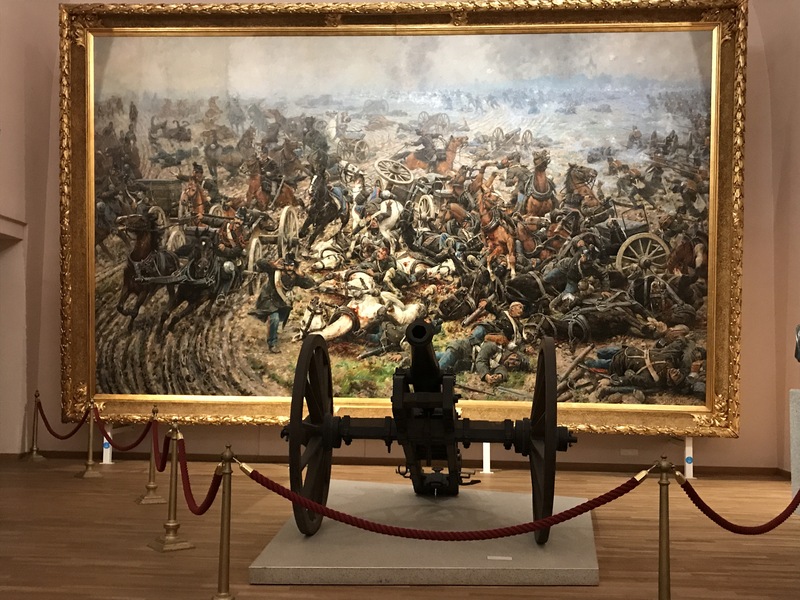 One of my favourite displays here was that combining a cannon and painting which form part of the Battle of Königgrätz display. Now heading to the ground floor again the floor is divided into two wings. One wing covers the era up to 1914 and then the Great War. I understand the Great War section has undergone remodelling, and it shows. Without doubt this section is presented extremely well with excellent German and English descriptions. Items are packed in, but not crowded. 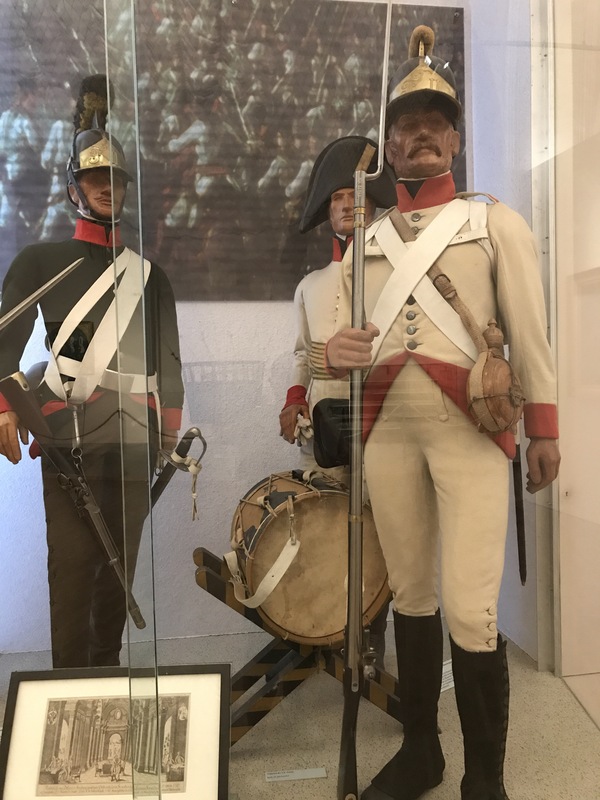 In addition to the Austrian weapons and uniforms the displays are subdivided by year but are supported by uniforms, weapons and selected artillery pieces of Austria’s enemies. 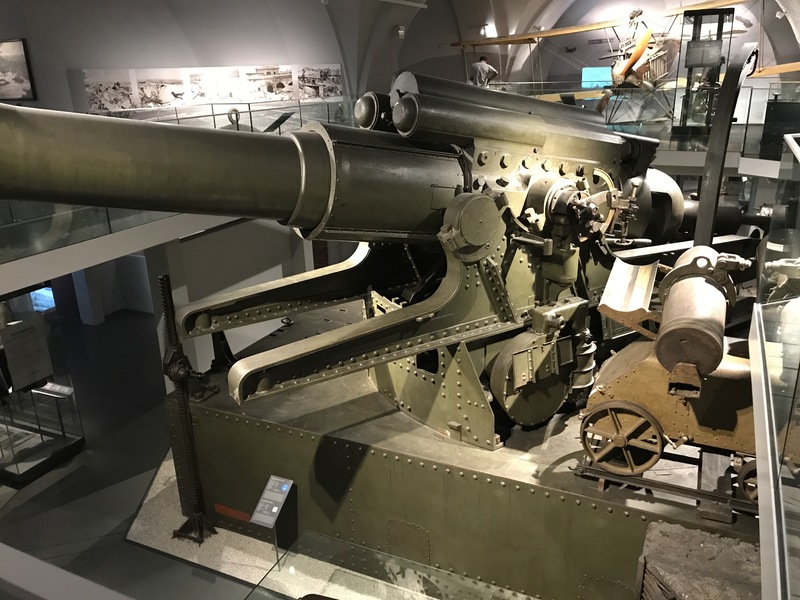 Above, one must be the centre piece the 38cm siege howitzer. However, many other less know items were for me particularly interesting such as aircraft location finder below. On the final wing of the ground floor is the Republic to the end of World War II with a well presented showing the move from the republic to integration into the Wehrmacht. 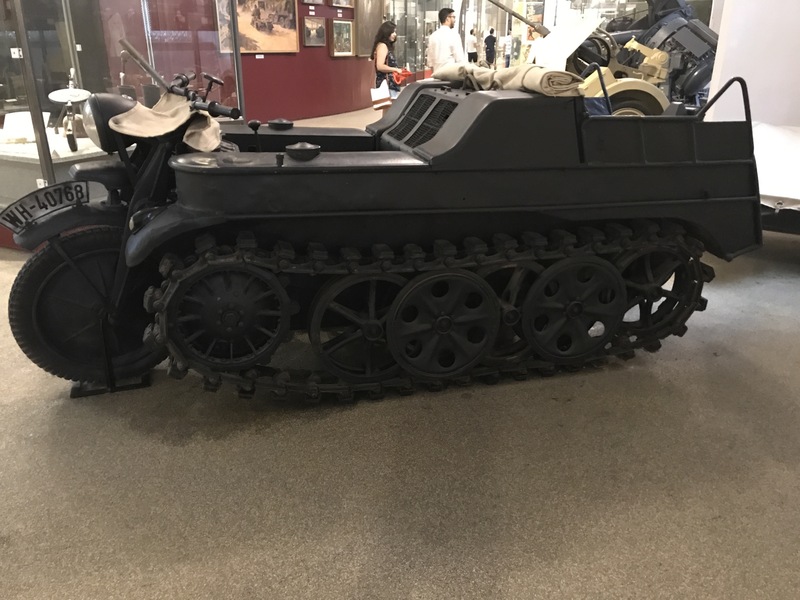 Here a large selection of small arms and uniforms are well supported by a small but interesting range of anti-tank guns and light vehicles, including a some less often seen vehicles. This is another excellent section but not as good as the Great War section. Finally, this wing moves into a section covering the Austo-Hungarian navy up until 1918. Now a few suggestions if like me you are not a German speaker. Make sure you take a Smartphone and headset. Currently English descriptions, except in the Great War section are not complete. The museum provides details on an English language audio tour which can be downloaded. This and the various audio guide points will be invaluable. However, not all the guide points are easily seen. Ensure you consult the map as you go through each section. As to time I spent seven hours and only just completed the main displays. When you have finished Belveder Palace, and its gardens, are just 10 minutes work away and provide an excellent route back into the main city area, if that is where you are based. 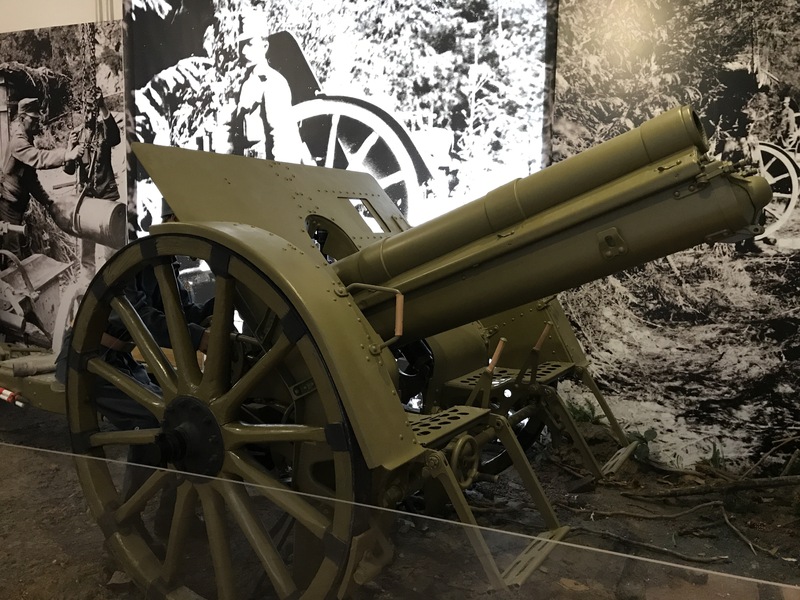 I managed a short visit today to the Military Museum in Budapest. Located on Castle Hill the museum sits in the northwest corner and occupies two levels. By international standards the museum is not large. However, it covers several interesting periods and the role Hungarians played in these wars. 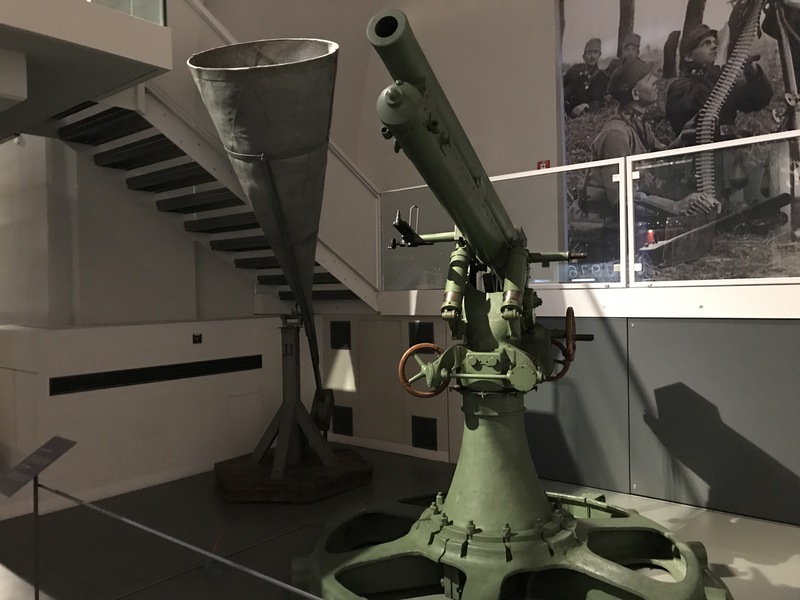 In general the exhibits deal with the period from 1815 and predominantly the 1848 Revolution, the Great War, World War II and the era of communist rule, including the 1956 Uprising. Each period was presented well with a clear summary of both the political and military aspects in play during each period. 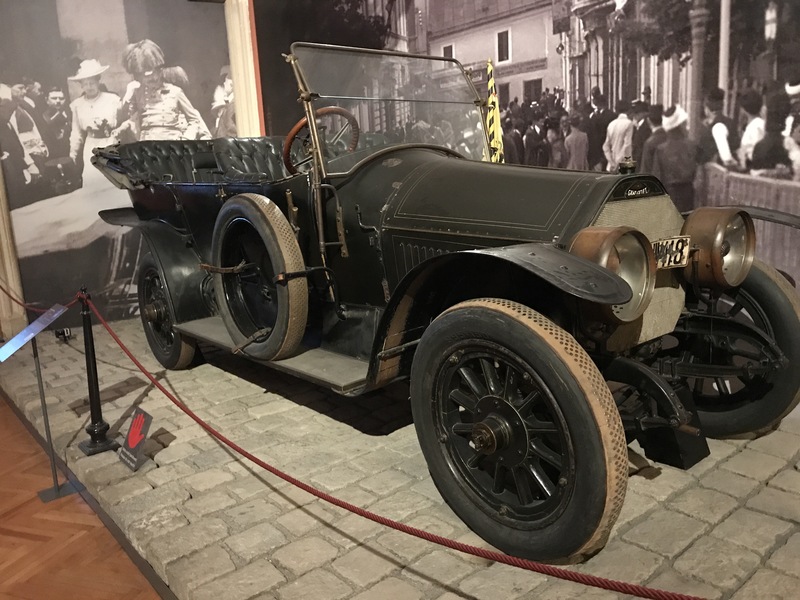 In addition to these main periods the wars of 1919-20 and the reorganisation of Hungarian army after the Great War and through to 1939 received coverage. Small arms and uniforms formed the focus of many displays. All included good descriptions in English. That said, a knowledge of some of the evolutionary changes of various weapons may be useful. I didn’t take a large number of photos however, here are a few of the larger items. 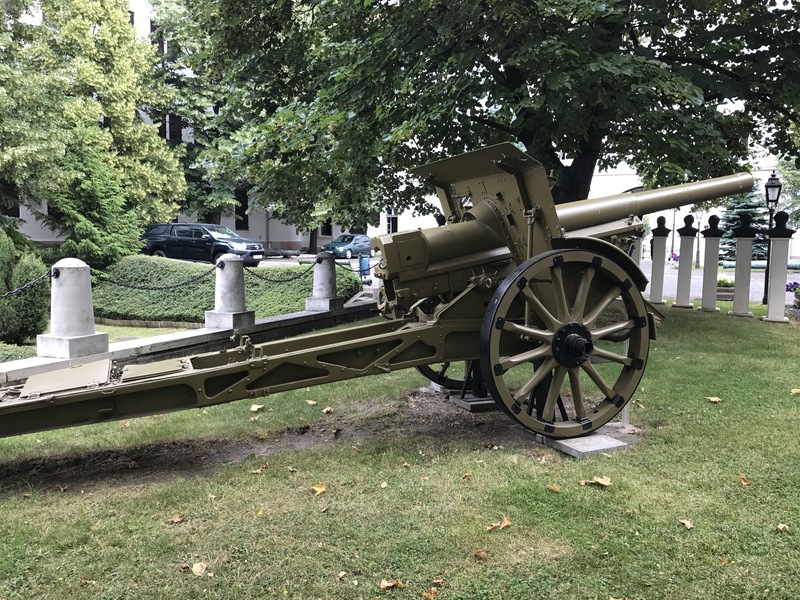 Above, a 6pdr from the Hungarian Revolution of 1848. A small selection of complete artillery systems were on display. Above, and below, a couple of the larger pieces from the Great War. As mentioned most items are displayed in cabinets, though there were several exceptions. Of those a number I felt some from the Siege of Budapest were particularly well done. 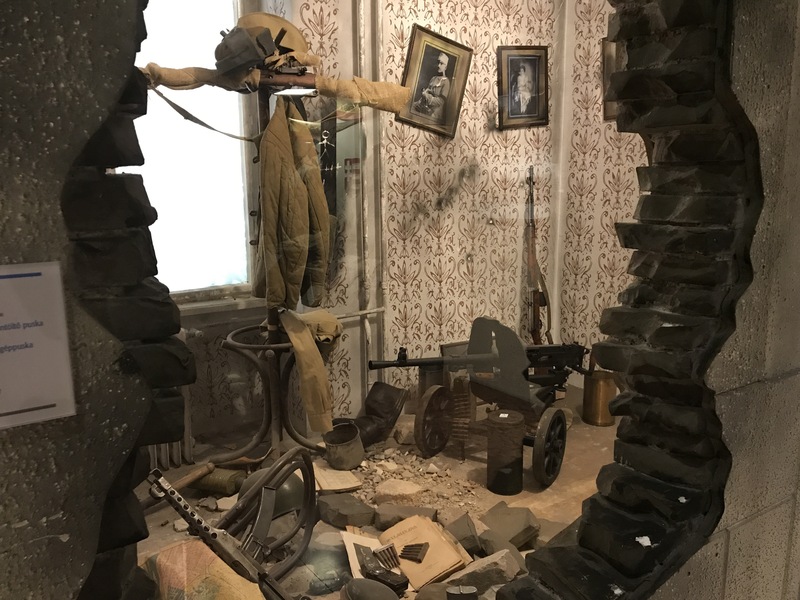 Here, two adjoining rooms, one Axis and one Soviet, have been used to illustrate the intensity of the fighting during siege. A fascinating museum which I would recommend visiting.